Veruna - School of Motion Explainer Camp | Mair Perkins Ltd. This animation was made in my own time for learning and skill development. I wanted to try some new techniques in a cinematic, painterly visual style and create a portfolio piece to demonstrate this style. I also wanted to try out some more frame by frame animation and try mixing some 3D into my 2D work. The animation was made as part of School of Motion's Explainer Camp. I've taken a couple of School of Motion courses before and loved them. I'm a big fan of life long learning and constant practice to improve a craft. 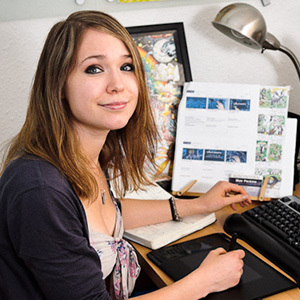 It's also a necessary part of a career in digital art as the software and technology is always developing. So when SoM launched their new explainer animation course, I signed up for the beta. 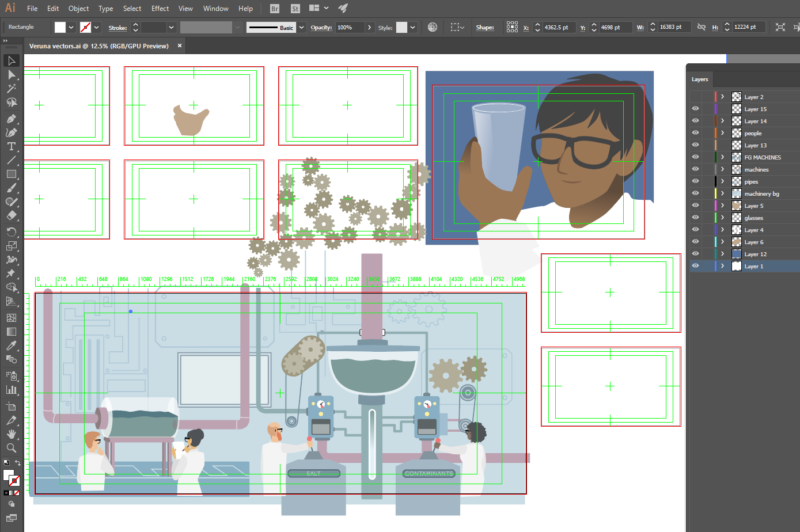 The course went through the production process of an explainer animation from script to final video. I've been creating explainer animations since 2010 but I developed my own process through practice, experience, what I could learn online and from managing animation projects at University. So I thought it would be great to learn how other animator's approach the explainer animation production process. The final animation is below and a case study about the production process follows. This animation was made in my own time for learning and skill development. I wanted to try some new techniques in a cinematic, painterly visual style and create a portfolio piece to demonstrate this style. I also wanted to try out some more frame by frame animation and try mixing some 3D into my 2D work. The animation was made as part of School of Motion's Explainer Camp. I've taken a couple of School of Motion courses before and loved them. I'm a big fan of life long learning and constant practice to improve a craft. It's also a necessary part of a career in digital art as the software and technology is always developing. So when SoM launched their new explainer animation course, I signed up for the beta. The course went through the production process of an explainer animation from script to final video. I've been creating explainer animations since 2010 but I developed my own process through practice, experience, what I could learn online and from managing animation projects at University. So I thought it would be great to learn how other animator's approach the explainer animation production process. The final animation is below and a case study about the production process follows. To kick off Explainer Camp, we were asked to create an animatic for a script about compound interest. This activity was a nice creative muscle warm up and a good ice breaker in the class Facebook group. I went with a squirrel metaphor to liven up the subject of compound interest. The course offered the students 3 project briefs to choose from. 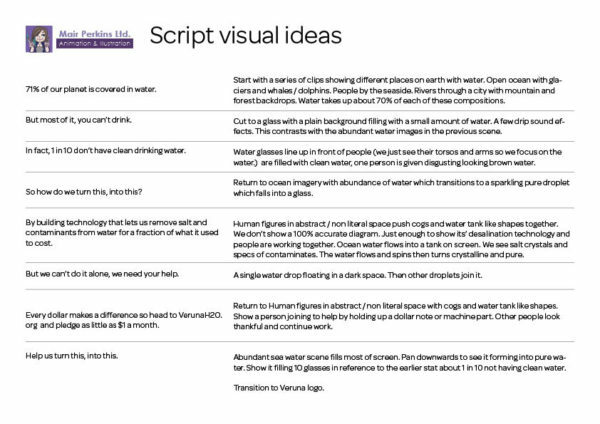 I opted for the Veruna brief which involved creating a 30 second advert for a fictional water purification charity. The 30 second script was written into the brief so I could get started on the treatment and mood boards. There was also a pitching task in this phase that involved giving a fictional cost breakdown and production schedule. The treatment explains to the fictional client, Veruna, how I plan to approach the animated video. 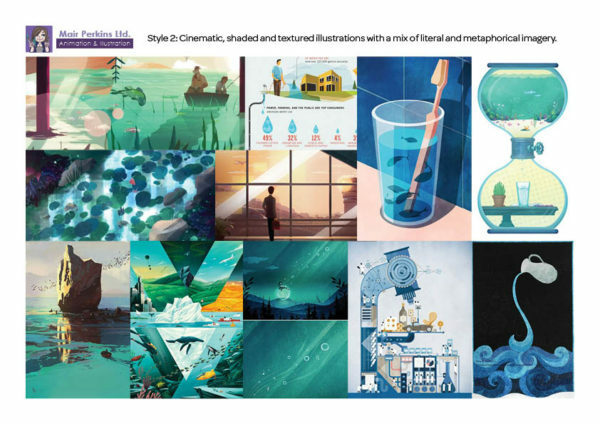 The moodboards are made up of images collected online to give an idea of how the final video will look. Pinterest was very helpful for this! As the client was fictional, I decided to develop the cinematic, shaded and textured style. This is because much of my previous animated work uses flat, vector style and I wanted to challenge myself and develop a new style that incorporated some of my illustration and painting skills. 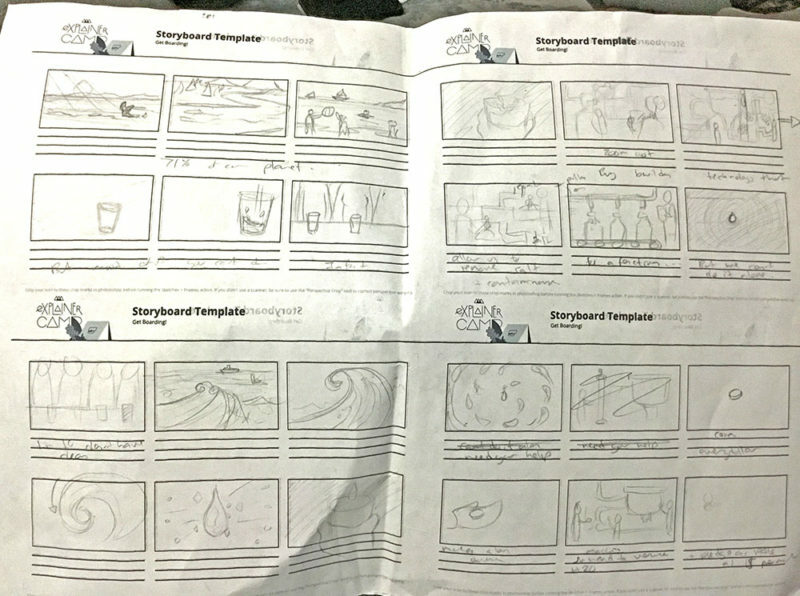 The School of Motion teacher, Jake, recommended we sketch out our visual ideas for the script on paper first. Many creatives I talk to, like to do any initial ideas on paper. I think it’s because a computer can be distracting and I find myself focusing on the software tools more than idea generation. So going back to simple paper and pencil seems to help ideas flow and form more easily. Once I had the visuals sketched out on paper, I used them as guides to do some refined, digital sketches. I opted for digital canvases over physical paper here for easier editing and duplication of elements. I used the Adobe Sketch app on an iPad Pro with an Apple Pencil. 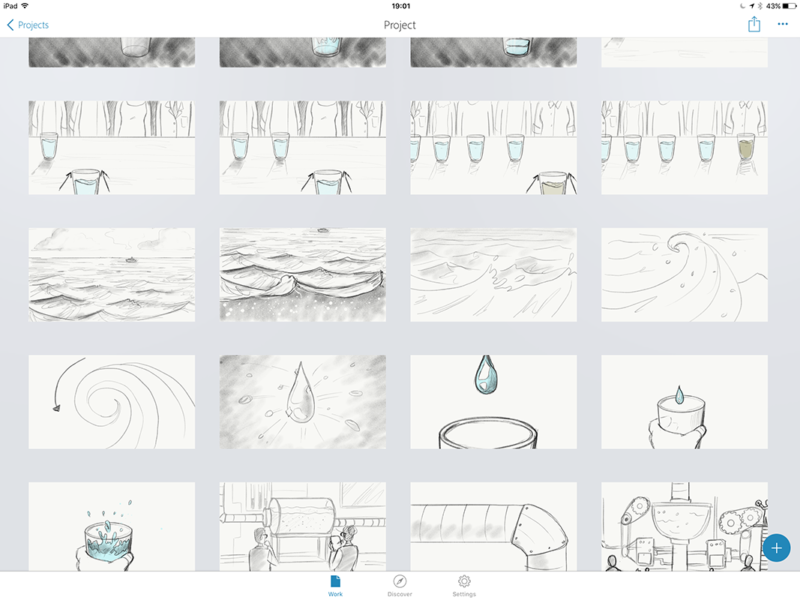 Adobe Sketch is a simplified version of Photoshop’s drawing/ painting tools. 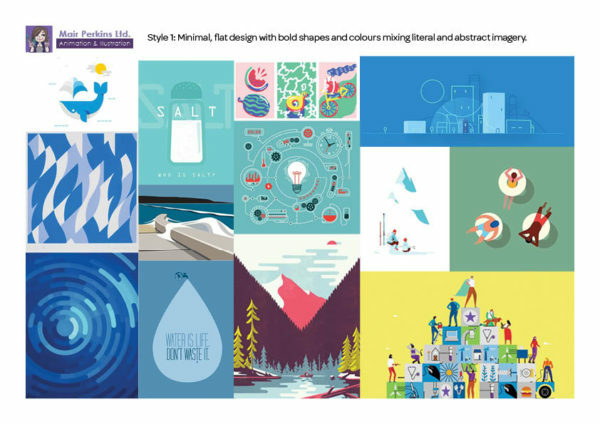 I could have sketched these in Photoshop at my desktop PC with a Wacom Cintiq but as this project was something I was doing outside of work, I preferred working on these on the sofa in the evenings so I could still hang out with my husband and cats. Once the polished sketches were done, I put them together in Adobe Premiere’s timeline along with a draft voiceover reading by me to make an animatic video. This is to test the timing, structure, pacing and over all flow of the animation. At this point, the SoM teaching assistant, Chris, gave tons of helpful critiques and advice to help me fine tune the visual story. I’ve been using sketched animatics in client animation projects since and has made the initial script and visual story telling phase so much easier and faster to craft out. Which then makes the actual production stage even smoother. In fact in this client project, I wrote the script, sketched the storyboards and put an animatic together all within 3 days and presented them at once to the client. There was then only a couple of script voiceover changes and some rubbish item swapping. This project had a tight production schedule and the animation story was pretty simple (wash and squash!). While I was working on the animatic, I wanted to test out the animation style I had in mind. After all what I have in my head might be unpractical to animate. So I put this together. It combines Photoshop digital painting with lots of effects in AE and layer blend modes. I didn’t end up using this shot in the final animation but it was good to test out the style and figure out what techniques to use. After the sketched animatic was signed off following feedback and revisions from my teachers and classmates, I began illustrating the storyboards! 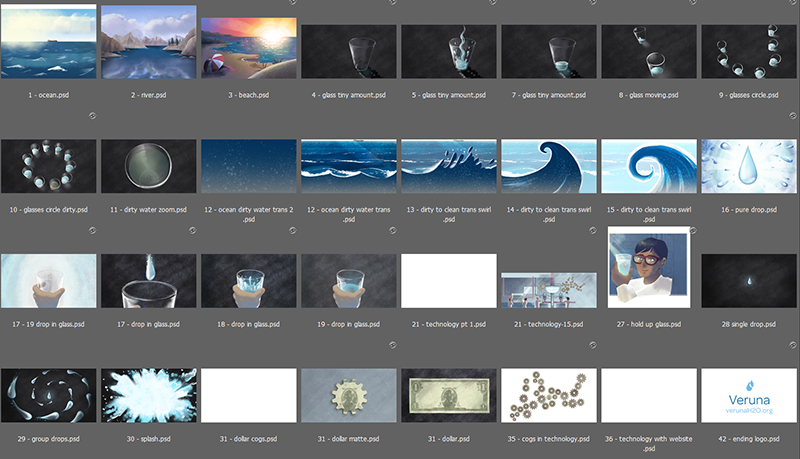 Some of these illustrations were to also make up the artwork used in the final animation so I prepared my files to remain editable and animatable. Here are the files previewed in Adobe Bridge. Most of these are prepped for animation. Some pieces, I drew in Adobe Illustrator first as vector shapes. I’m a big fan of vector shapes as you can import them to After Effects as shape layers and edit the paths. Overlord and Explode Shape Layers are plugins ideal for this kind of work. Which I then imported as layered artwork to Photoshop to apply shading and texture with brushes. Clipping masks were very helpful here! Here’s a shot I posted to Instagram while I was digitally painting a scene. 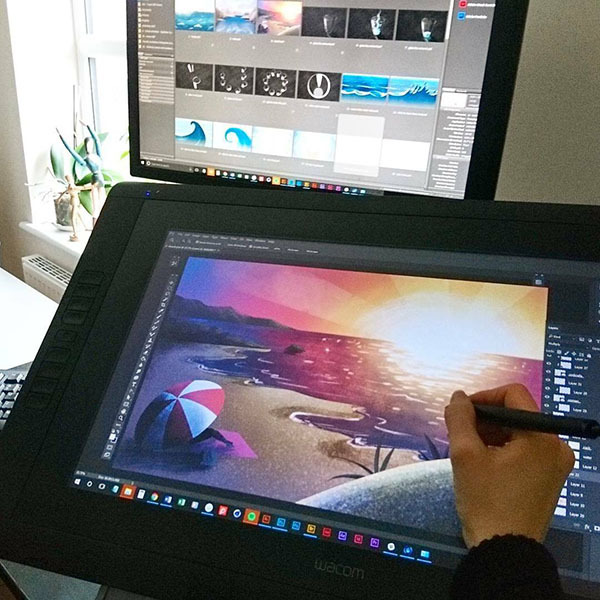 I’m working on a 22 inch Wacom Cintiq here. It’s not essential for this style of work but it’s enables you to work faster and is more ergonomic (for me at least). The Cintiq gives me less wrist and arm ache compared to a screenless drawing tablet. Once the illustrations were done, I made this animatic with the polished boards hence “boardomatic!”. After some feedback from the teachers and class and a few more revisions, I began animating (at last!). Some sections I planned to do frame by frame. So I sketched out the frames on an iPad app called Rough Animator. I then exported it as a video which I imported into Photoshop. It wasn’t necessary to do this on the iPad but sometimes it’s just nice to work away from a desk. Plus the app is novel and fun! In Photoshop I digitally painted each frame using the sketched video as a guide. I also used the illustrated storyboard for colour and texture reference. 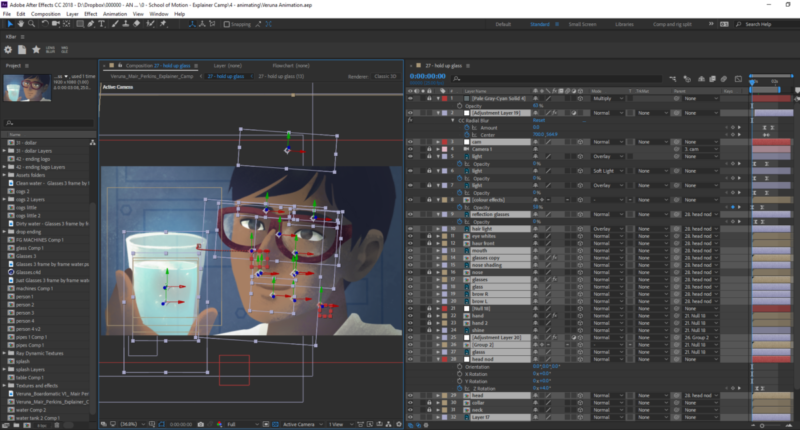 The section with the glasses was created in Cinema 4D Lite, which is included with Adobe Creative Cloud’s After Effects. It was simple enough to model and animate this but I wanted the glasses to match the textured, painterly style of the animation. So I painted over each frame of the C4D video in Photoshop adding texture, highlights and water. This scene took me a long time as it was pretty tedious so I procrastinated. 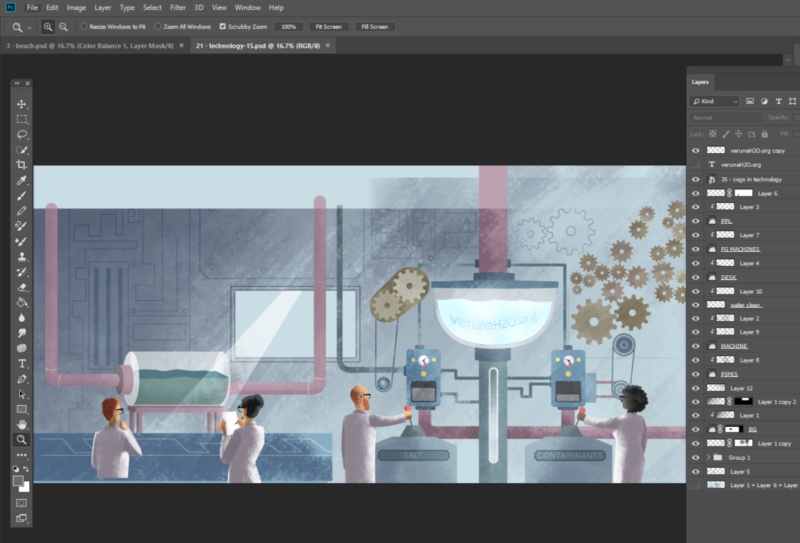 After avoiding this scene for a long time, I ended up forcing myself to work on it for at least 15 minutes everyday until it was complete. In hind sight, I wouldn’t have included this scene in the animation, or thought of something less labour intensive and monotonous. Or perhaps figured out a way to recreate this style in Cinema 4D with texture and lighting. Oh well, it’s a lesson learned! 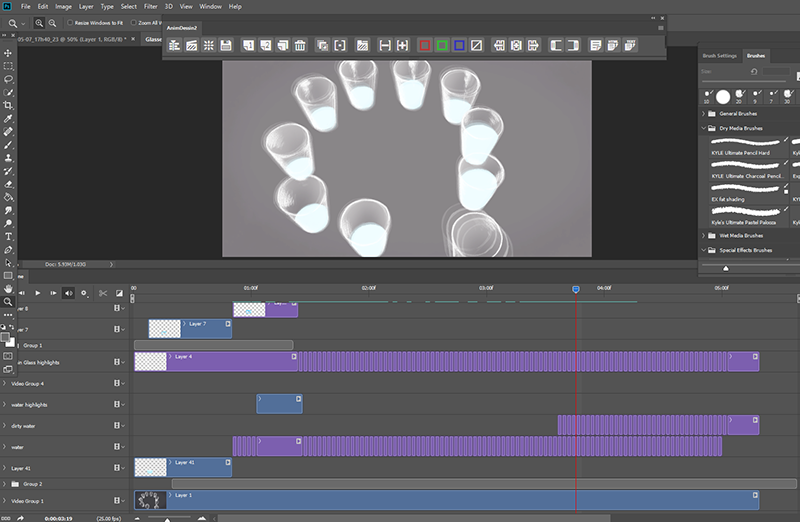 Most of the animation was done in After Effects by importing the Photoshop and Adobe Illustrator files into it. For the textures, I used a lot of layer blend modes, track mattes, masks and pre-comps with preserve underlying transparency checked on the texture layers. The Ray Dynamic Texture plug in was very helpful. Jake Bartlett, the main teacher of Explainer Camp, also shared some excellent animation tips and tricks. I mixed the music and sound effects in Adobe Premiere as it offers more sound editing tools than After Effects. The song was bought from Premium Beat and the sound effects are from the Adobe Library. The Explainer Camp course included some excellent tutorial videos on working with music, sound effects and recording your own voiceovers as well as directing professional voiceover artists. I didn’t hire a professional voiceover artist for this project as it’s a personal / study project, so please excuse my amateur voice. 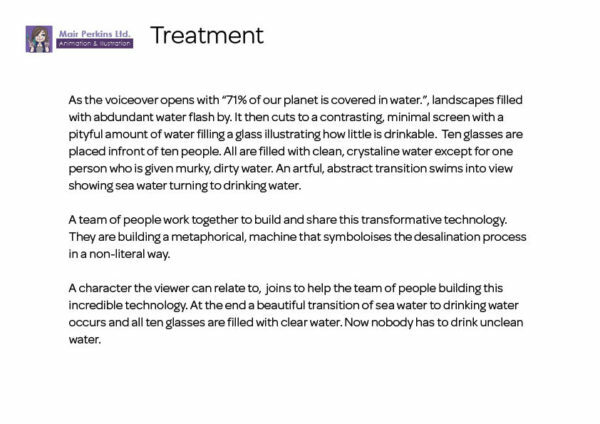 The School of Motion course does include a pro voiceover for each of the project briefs but I had set the tone and timings with my voice so kept this track. I had a few revisions and things to fix in post. So I used Premiere for this to save having export the whole animation each time. With all the textures and a bit of 3D, it was a pretty beastly project file so took an hour or so to render. 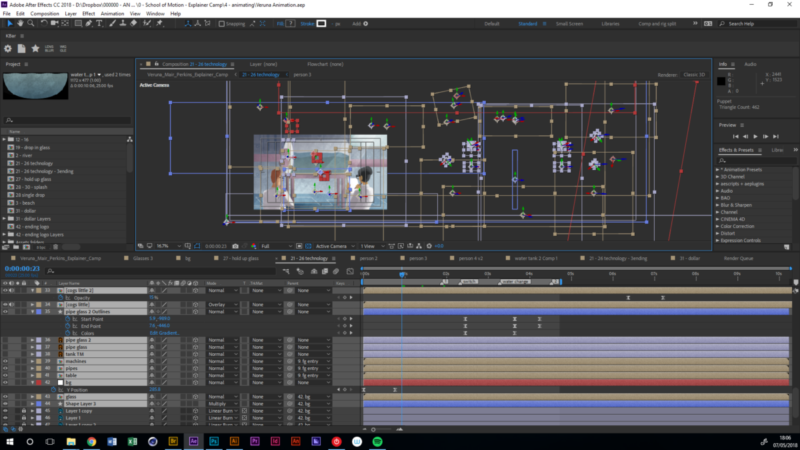 So I just rendered the animation sections that needed revising and popped them into Premiere. Then I exported it, uploaded to the internet and wrote this! The beta Explainer camp course ran from 23 Oct 2017 – 12 Jan 2018. You can read about the course schedule here. 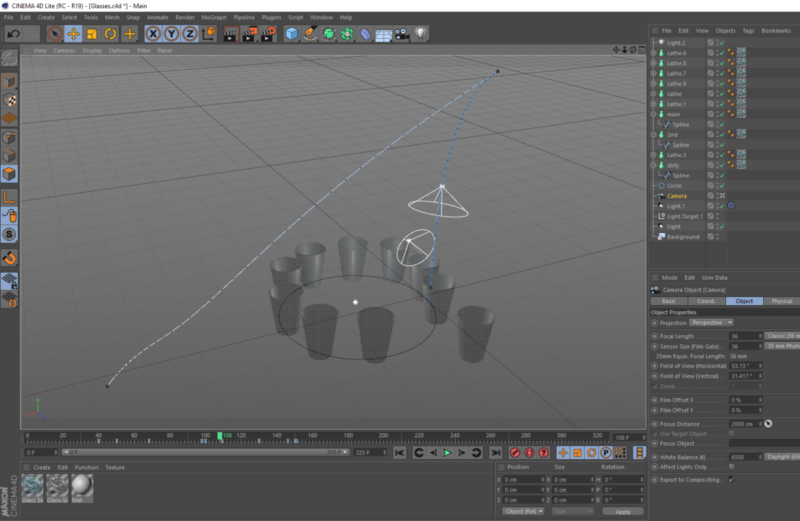 I had completed most of the animation by the end of the course but that pesky C4D glass scene took me a long time (including the time spent avoiding it). So I finished the animation in late April 2018. I was mostly working on it in evenings after client project work during the day. Overall, I feel glad that I accomplished what I set out do and learned a lot along the away. There’s still lots more I wish to improve on but sometimes done is better than perfect! The School of Motion course was incredible quality (as is typical of their content! ), full of knowledge and the teachers were helpful and attentive. I’ve applied a lot of what I learned from Explainer Camp to my client projects and I’m already seeing an increase in efficiency and clients have responded positively too. I’m also able to demonstrate a wider range of animation styles and techniques to my clients. A huge thanks to School of Motion, the teachers and my class mates for their knowledge, advice and motivation.